Soprano Mary Feminear sings Semele at Friday night’s performance, opposite Theo Lebow’s Jupiter and Deborah Nansteel’s Juno and Ino. This young American soprano is just as comfortable with the rich mid-range of Ariadne’s Composer as with Lucia di Lammermoor’s high-wire act, and you’ll hear her remarkable range and powerful voice displayed by Handel’s music. 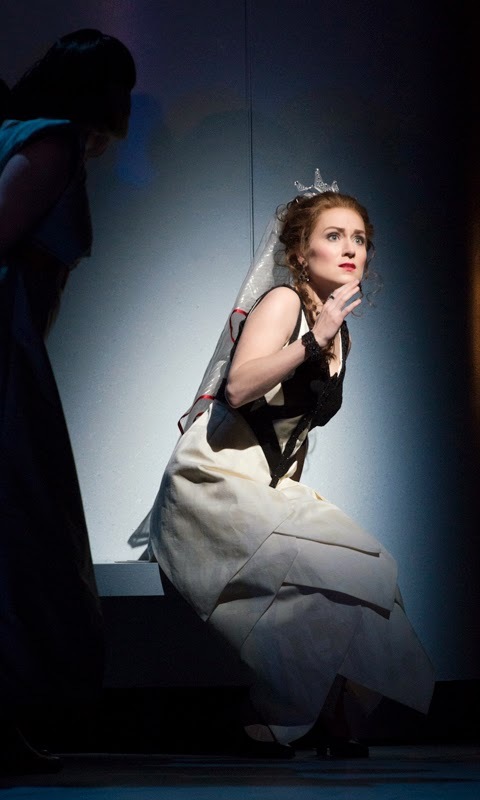 We’ll get another chance to hear Feminear soon, when she takes on the role of Pamina in Pacific Musicworks’ The Magic Flute in May at the University of Washington. Tell us about the character of Semele. Do you find it easy to connect with her? Semele is full of flaws, which are at times painfully difficult to see past. She's a social climber and a narcissist. But there is also beauty there. Handel keeps us aware of this by giving her some gorgeous moments, full of light and humanity. To me, those moments are what make Juno's wicked plans so tragic. Semele, though self-obsessed, does have so much potential. Later this spring, Seattle audiences will also get a chance to hear your Pamina. How is singing Mozart different from singing Handel? To me, singing Mozart is not all that different from singing Baroque. Mozart developed a great love of Handel over his lifetime. And one has to assume that at the time, styles hadn't changed so much. I still think of phrases in Mozart as a series of gestures, like with Handel. The place where they differ is in the matter of ornamentation. Handel gives you the liberty of elaborating on some of his ideas in da capo arias and even in some other cases. If Mozart repeats material, he writes out exactly what he wants, note-for-note. There are lots of roles for your voice type, but there are also lots of singers competing for those roles. 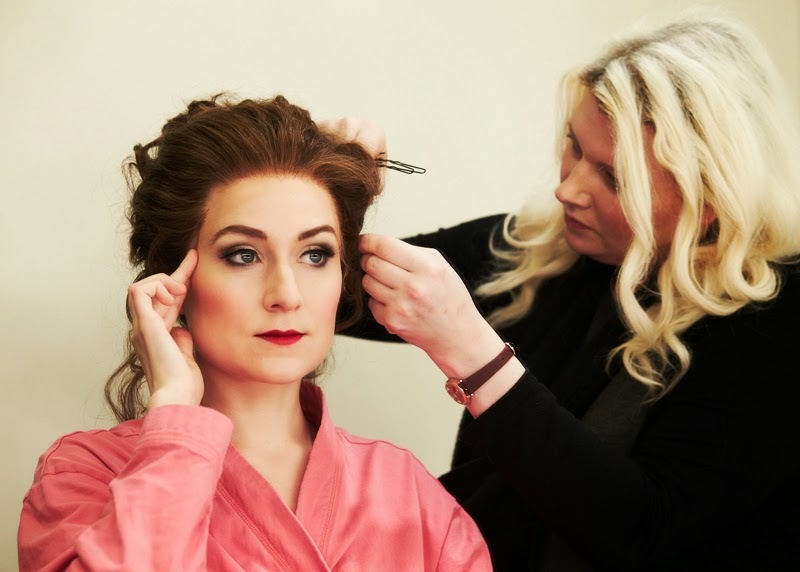 How does a young soprano make a name for herself today? It's true, there are a lot of singers and the repertoire is vast. But getting overwhelmed doesn't help. So far, I'm just sticking with the repertoire I'm drawn to and I don't question it. Following my instincts has always been the best plan of action. You received great press for the roles of Aréthuze and Proserpine in Charpentier’s La descente d’Orphée aux enfers, which you sang recently with Gotham Chamber Opera. Many New Yorkers are looking to this small company for imaginative productions of interesting repertory. How was your experience with them? Neal Goren is as talented at choosing spaces as he is at choosing rare and wonderful music. He is also incredibly supportive and encouraging with his singers. We need that, in order to feel like we can take risks ourselves. This performance stands out in my memory. Speaking of interesing new productions, Seattle Opera’s Semele has inspired lots of superlatives! It's been deserving of all of it. If you're looking to have a stunning visual and musical experience, one that will stay with you, come see Semele! Everyone has put an incredible amount of energy into this new production. The result is a heavenly world that is inspiring for the audience to live and dream in. RIGUEUR MORTIS: What’s with the Seattle Opera and the dreary deaths of major players? This 2014-20154 season, the Seattle Opera has mounted glorious, world-class, state-of-art productions (no complaints there). However, at the risk of sounding ghoulish, I cannot help but wonder why these masterworks are allowed to peter out at the end, where major characters expire with a whimper instead of a bang. 1) In the 2013 Gotterdämmerung, Brünnhilde was supposed to go out in a blaze of glory, immolated in a massive funeral pyre …. Unfortunately, her fiery finale all took place somewhere off-stage. 2) In 2014’s Don Giovanni, the eponymous villain gets dragged down to Hell in a piddly show of flames (enough to toast marshmallows), while the demon entourage was completely missing in action. What’s a fitting demise into eternal damnation without demons? Even a swath of black onstage with dozens of glittery eyes staring back at the audience would have boosted the frisson factor. 3) In 2015’s Tosca, our heroine’s jump to her death from the parapets of Castel Sant’Angelo looked more like a bunny hop. I would have had Tosca disappear behind the ramparts and reappear in silhouette at a distance, an outline in black against a lurid red sunrise (Cavaradossi was shot at dawn, right?) as she plunges from the precipitous heights of the castle parapets. This final death scene could have been executed with simple animation and rear-screen projection. 4) In Handel’s Semele, our heroine is consumed in flames after gazing on Jupiter in full godlike regalia. What was actually delivered in the 2015 production was an underwhelming whimpery meltdown under a B&W rock-star poster of Jupiter. A fiery death in black-and-white was more fizzle without the sizzle, and certainly no steak. I would have used a mirror ball and strobe lights with red gels to simulate the flickering tongues of flame lapping over Semele’s body. Surely that wouldn’t have cost much to put together…. As an aside, Don Giovanni’s missing demons seem to have re-surfaced in Semele as the annoyingly ubiquitous blue sprites sprinkled liberally throughout the production. Semele should have at least put them to work carrying around that clunky mirror. Hopefully, in future productions, Seattle Opera will put the Big D back in denouement and stop cheating the audience out of a rousing finale.